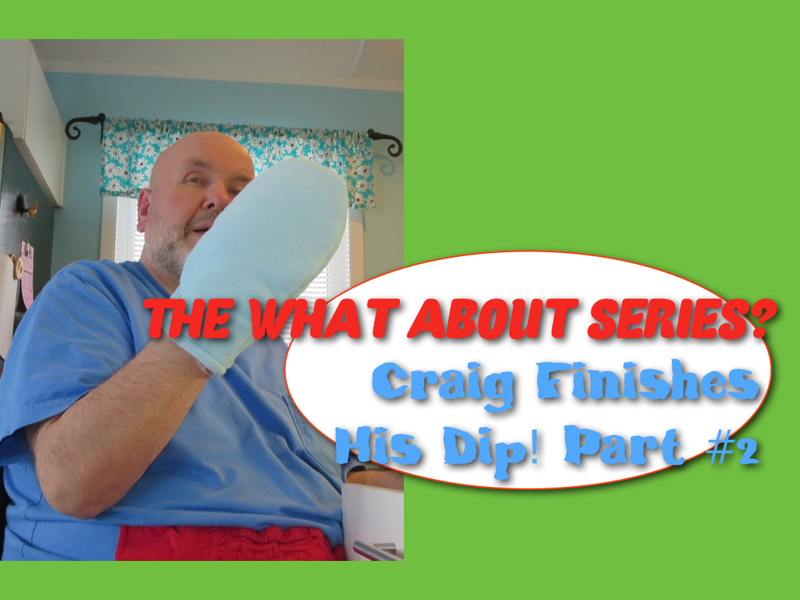 Okay, time for Craig to complete his dip in the wax therapy bath. (Watch the video above) If anyone else wants to try this great device, it does take some planning. It takes about two hours to completely let the paraffin wax melt down into liquid form. And then you definitely may want to reduce the heat slightly, prior to using. If you watched Part #1, (click here.) 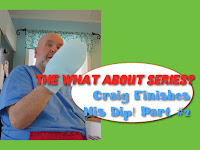 you will know that just as he was about to begin dipping his hand in, Craig noticed that a layer of cooled wax formed on the surface. Just like pudding skin! Make sure you test the wax prior to dunking your hand in. And then, as you will see in the video in part #1, how many times you should dip. When done, make sure you let the wax solidify before you slip your hand into the plastic baggie and then quickly into the insulated mitten. Revlon provides the wax, a pair of these cool mittens and a supply of baggies. Which is pretty good for the price. Remember to keep the wax from getting contaminated too fast, make sure you wash your hands well prior to dipping. And we chose to place the peeled off wax into a separate baggie and re-melt it all together in the future. The whole amount can be re-melted and used about ten times or more. We found a person in our research who said to keep using it. But, when it gets clouded and a bit smelly, clean it out. That is a whole other process. We do not recommend letting it actually get cloudy and smelly first. That would not be sanitary and could cause infections. 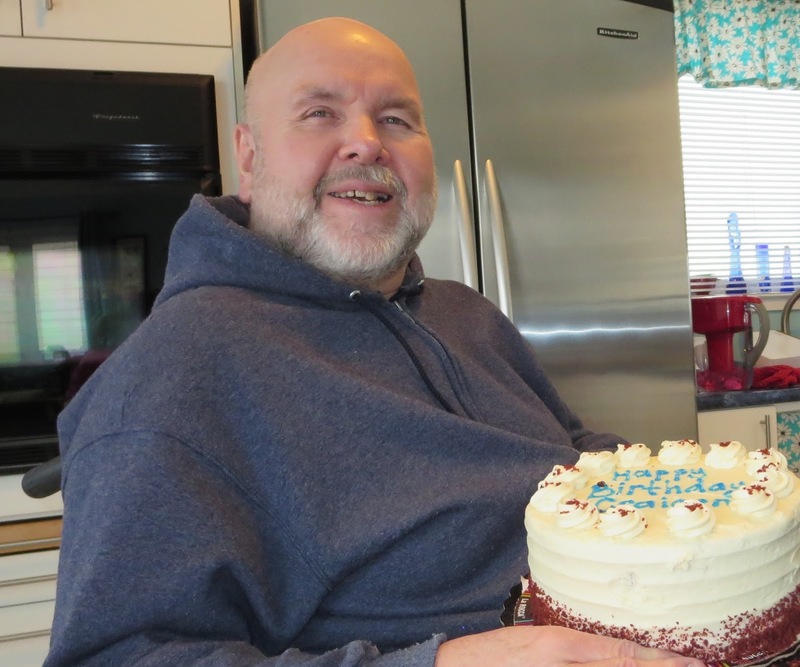 The spa was Craig's birthday gift! Did you see the sweet surprise in the video? 1. Heat therapy in any form is definitely beneficial to arthritis and some other pain. 2. Wax Baths definitely help provide comfort to osteoarthritis sufferers. 3. Plan at least two hours ahead and you won't be disappointed. 4. Make sure to have the baggies and mitt close by your therapy bath. Ot else it could get messy trying to reach everything. 5. It not only relieves pain in your hands for a while, it softens rough dry skin. 6. It can be used on feet as well. Remember to wash your feet meticulously PRIOR to dipping!